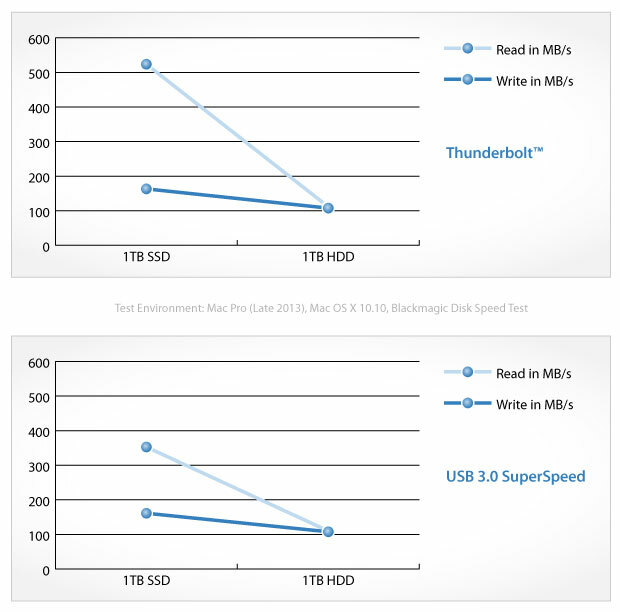 By incorporating the awesome Thunderbolt connection and combining it with a fast SSD drive, the AKiTiO ThunderGo is ready to deliver an extremely fast throughput performance. The dual interface guarantees compatibility with all systems. 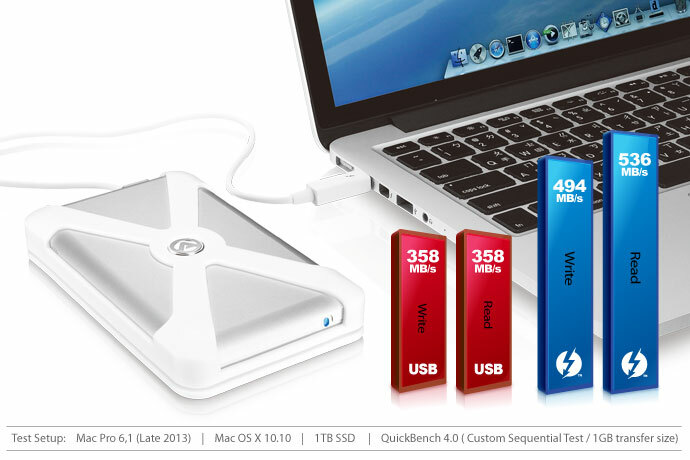 Achieve ultra fast transfer rates with either Thunderbolt or USB 3.0 SuperSpeed but know that if necessary, you can always fall back to USB 2.0 for maximum flexibility. 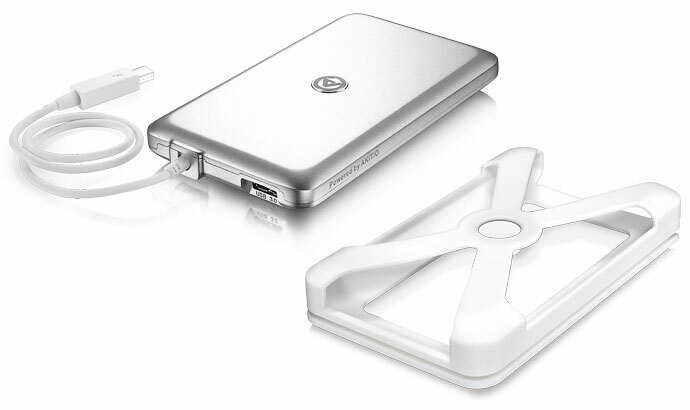 Hassle-free and compact, the bus-powered AKiTiO ThunderGo is the ideal companion for your notebook. Designed with portability in mind, the rubber sleeve provides protection for your drive and keeps the tethered Thunderbolt cable neat and tidy at the same time. Simply drop the drive in your bag and you are set to go. The transfer speeds below were obtained using Disk Speed Test from Blackmagic Design. The results reflect the real-world performance you can expect but the actual transfer rates will still depend on the test environment and might not be exactly the same.